Whether your little ones love or loathe bath time, getting the opportunity to give the bathroom a good clean can often feel like a task that you’d rather leave until they’re off to the land of nod. Despite trying to get make the place look sparking, once the mess makers appear all hell can break loose, and your hard work can soon feel like a distant memory. With little ones still building up their immune system they are far more susceptible to the bugs and bacteria that are harbouring in the warm, moist environment of your bathroom. And nasties such as E.coli and salmonella love lurking in these places and breeding up a storm. Many of us turn to the good old bleach when it comes to cleaning our bathrooms. Because if you can’t see it, it’s not there, right? WRONG! Trying to blast away any illness causing bacteria with bleach can actually cause more harm than good. Although it does kill many germs, the chemical can be harmful to children in the long run. A recent study by the Environment for Health in Belgium found that passive exposure to bleach was associated with a 20% increase in the risk of flu and other common illnesses. So you may be getting rid of all the dangerous bugs, but you still need to eliminate the as many problems as you can. Disinfecting with a certified health product is a much safer option, as they are highly regulated and offer more safety precautions than that of cheaper bleach from super market brands. Bath time is no fun without a mountain of toys to keep them entertained in the tub. But once thrown to one side after an evening of play, toys can soon become the perfect hiding place for all those bugs. It’s horrid to think of, especially when the little ones can be found chewing on them, or throwing them across the room on a regular basis. It may seem like a thankless task, but cleaning toys regularly with a surface cleaning wipe can keep them problem free for as long as possible. Just don’t forget to put them away after wards so you can enjoy a soak without any disturbance from Mr Duck! At this time in the season the combination of warm and damp weather can mean that condensation may start to appear in your home if it’s not well ventilated. Creating unattractive greeny grey patterns on your lovely bathroom walls, mould can soon become your worst nightmare as you battle against it. 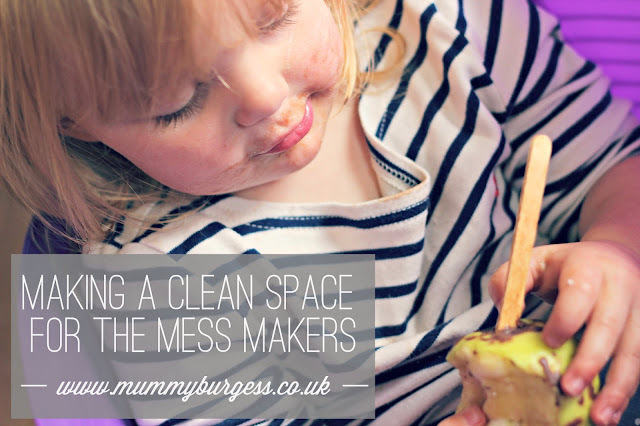 Removing Mould is essential if you want to ensure that you and the little ones are kept healthy, as it not only looks disgusting but can also become a great home for all the bacteria you want to keep away from your family. Stay on top of little issues like this and then they won’t become a big problem! Of course along with making your bathroom a clean and safe environment comes an army of cleaning products to help you do battle against the bacteria. The UK Cleaning Products Association (UKCPI) is currently campaigning for parents to ‘Take Action today, put them away’, as the number of children poisoned due to get their little hands on cleaning products increased last year, with 161 children under the age of nine being admitted to hospital due to accidental poisoning. Keep them out of reach from inquisitive toddlers, and ensure that you educate them that they’re for ‘grown ups’ only. Bath time should be a fun and relaxing experience for your children, and one that you should enjoy with them. So put your mind at ease and make it clean. *This is a fantastic guest post from the lovely Mary, who has featured on my blog before - always fab stuff from this lady!